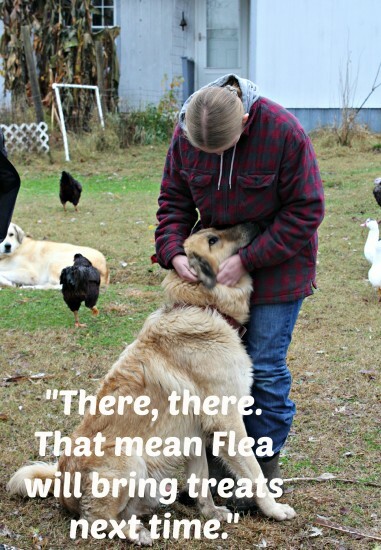 Hunny and I spent Saturday on a homestead, one of our favorite places to be. 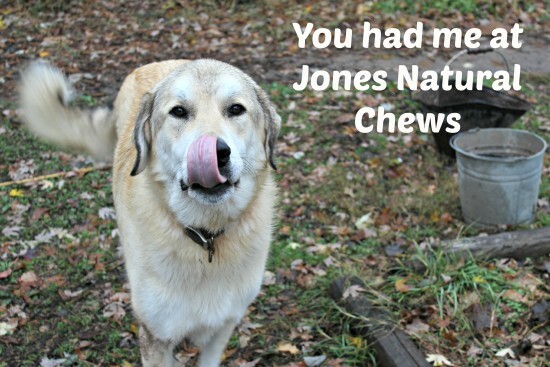 And I forgot the Jones Natural Chews. Never forget the treats. Today is Wordless Wednesday. I’m going to show y’all what it looks like when you forget the treats. 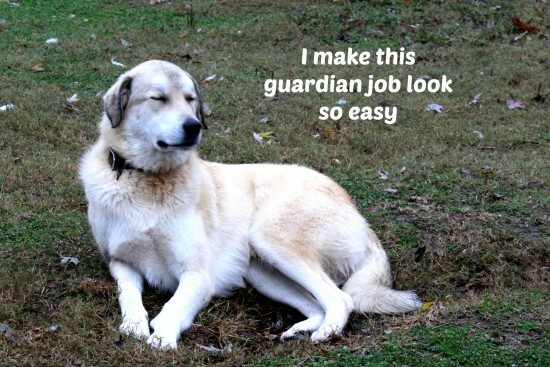 My homesteading friends have at least seven dogs – three are pets and the rest have jobs to do, guardian dogs. They weren’t happy with me, since they all know me as the treat lady. 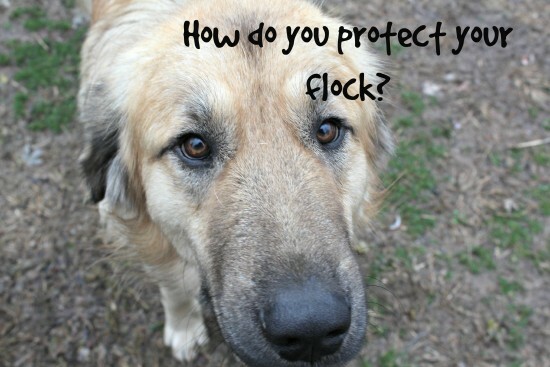 This Anatolian is a guardian of the flock. He’s not happy with me. He wants to know how I expect him to do his job if there’s no substantial reward. Jones motivates him. Now he’s sad. Poor Mondo dog. It would look even easier if I’d remembered the Beef Liver Taffy treats from Jones. His face here says that he forgives me for forgetting. I think. I hope. This is when we first arrived. Mondo knows I’m the treat lady. He was anticipating his Jones chews. And he was so disappointed. Poor dear. I might have to make another trip, soon, to remedy this. She’s not eating Jones, y’all. She’s eating nuts. Really. Seriously. I FORGOT THEM, OKAY?! I’M SORRY. Alright already!!! Geez! Cut a girl some slack! Sad Beagle eyes are the worst. Never forget the treats. If you’ll excuse me, I’m going to grab my big bag of treats and head back to the homestead. Right now. Maybe I should get dressed first. Do you think they’ll ever forgive me? 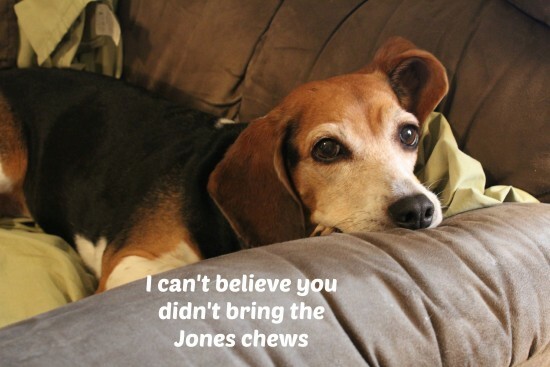 Your dogs might not forgive you if you don’t give them Jones Natural Chews. Especially for Christmas. Enter our Christmas giveaway so your dog won’t stop talking to you. What do you mean your dog doesn’t talk to you? 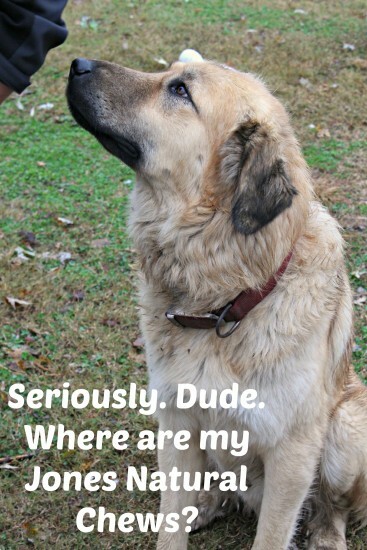 It’s because it’s not getting the right treats! Duh. 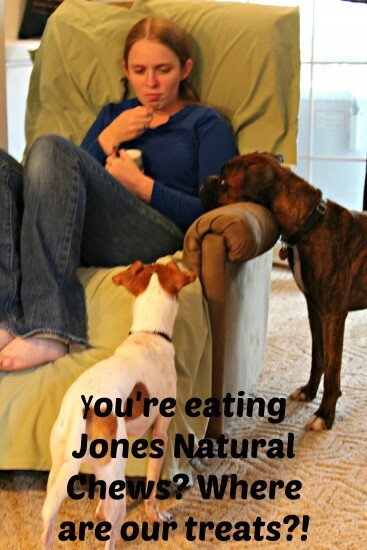 Now go give your dog a Jones Natural Chew and watch it smile. Naturally.